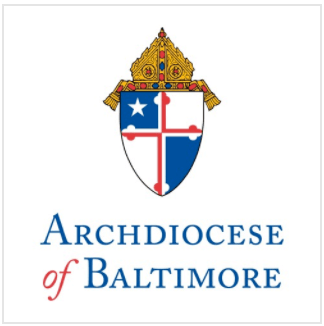 The administrations of The Cardinal Gibbons School and The Seton Keough High School, located on adjacent campuses in Southwest Baltimore, have announced an innovative partnership between the two schools that leverages their proximity to each other, as well as strategic alliances with area corporations, enabling the schools to both reduce operating costs and offer dynamic new programs aimed at strengthening Catholic high school education in Southwest Baltimore. Beginning in the 2009-10 school year, the two schools, while retaining their status as single-gender institutions on their existing campuses, will share one president, development director, and finance director, as well as several academic programs. Faced with many of the same economic challenges, the administrations of both institutions see the partnership as a creative way of being able to enhance their academic offerings to both existing and prospective students while also practicing good stewardship in challenging economic times. The schools will maintain their independent academic administrations, but will share combined advanced placement classes in some subjects, extracurricular activities focused on community action and charitable outreach, and academic programs for students seeking enrichment in challenging subjects. This will afford students of both schools vibrant new learning opportunities in the rich traditions of each institution. Seton Keough, an all-girls high school that resulted from the merger of Seton and Archbishop Keough High Schools in 1988, is also partnering with defense contractor Northrop Grumman to offer its students a unique engineering program and with neighboring Catholic healthcare provider St. Agnes HealthCare to offer classes in biomedical sciences. Cardinal Gibbons is also participating in the Project Lead the Way program and is looking forward to offering these opportunities to its students. In addition, both Cardinal Gibbons and Seton Keough will have new course offerings through the Parallel Enrollment Program, in cooperation with the Community College of Baltimore County. Through this program, Cardinal Gibbons students can take courses on the Gibbons campus and earn college credits while simultaneously satisfying their electives at the school. Other new, innovative programs are being considered as well. The Cardinal Gibbons School, serving male students in grades 6-12, was established in 1962 and is a member of the LaSallian Network of Schools. It serves a diverse community on 33 acres of land near the intersection of Caton and Wilkens Avenues. By focusing on academic excellence, diversity, community, mutual respect and brotherhood, Cardinal Gibbons calls young men to live their beliefs, develop their full potential, respect all life and actively pursue the self-discipline and community action which will bring their spiritual, personal and academic goals to fruition. New collaborative efforts among the three neighboring Catholic institutions–Cardinal Gibbons, Seton Keough and St. Agnes HealthCare, also known as “Caton Corners,” are sought to fulfill a long-term vision for a medical and educational campus on the 100-acre tract of land previously owned by the lone Catholic signer of the Declaration of Independence, Charles Carroll of Carrollton.